Smokers are killed, prematurely killed, dying commonly years before nonsmokers. Male smokers lost an average of 13.2 years of life. Female smokers lose 14.5 years of life.—NVSR 49, No. 3, U.S. Centers for Disease Control (6-26-2001). See also the book by the National Research Council (US) Panel on Understanding Divergent Trends in Longevity in High-Income Countries; Edited by Eileen M Crimmins, Samuel H Preston, and Barney Cohen (Washington (DC): National Academies Press, 2011), Explaining Divergent Levels of Longevity in High-Income Countries, especially Chapter 5, "The Role of Smoking." "About 25% of all deaths in the US are related to tobacco. That’s more than murders, car accidents, and HIV/AIDs combined. And 10% of all deaths worldwide are the result of tobacco-related diseases," says Action on Smoking or Health (retrieved 29 November 2013). It is evident that at each age division, more nonsmokers remain alive. Fewer smokers are alive. Smokers essentially consistently die off earlier. This earlier death rate continues until the last age range, when few are left in each category alive (age 95), and the death rate approaches the expected 100% rate. To get to that last point, don't smoke. As the quantities of toxic chemicals involved are so extensive, so massive, so poisonous, injury is immediate. "Even brief exposure to tobacco smoke causes immediate harm to the body, damaging cells and inflaming tissue in ways that can lead to serious illness and death," says "Just one cigarette can harm DNA, Surgeon General says" (USATODAY, 09 December 2010). Premature tobacco-caused deaths are therefore noted as long ago as 1833: "Five thousand deaths in these United States every year, from the use of tobacco!" --Orin S. Fowler, Disquisition on the Evils of Using Tobacco, and the Necessity of Immediate and Entire Reformation (Providence: S. R. Weeden, 1833), p 21. By 1836, it is already known "that thousands and tens of thousands die of diseases of the lungs generally brought on by tobacco smoking. . . . How is it possible to be otherwise? Tobacco is a poison. A man will die of an infusion of tobacco as of a shot through the head." —Samuel Green, New England Almanack and Farmer's Friend (1836). In 1845, it is known that "'. . . . German physiologists compute, that of twenty deaths between eighteen and thirty-five years, ten originate in the waste of the constitution by smoking.' Look at that! Ten out of twenty deaths caused by smoking! The number seems incredible. But the physicians of Germany who have examined the subject ought to be informed. It is the opinion of some of the best physicians in our country, that more than twenty thousand die annually in the United States by reason of the use of tobacco!!" --Benjamin I. Lane (1797-1875), The Mysteries of Tobacco (New York: Wiley and Putnam, 1845), pp 131-132. In 1876, Dr. Hippolyte A. Depierris (1810-1889) wrote in depth on the subject, in Physiologie Sociale: Le Tabac, Qui Contient Le Plus Violent des Poisons, La Nicotine Abrége-t-il l'Existence? Est-il Cause de la Dégénérescence Physique et Morale des Sociétés Modernes? (Paris: Dentu, 1876, reprinted and edited, E. Flammarion, 1898). Note the Pearl-like death-data chart, p 399, and similar conclusion, reduced numbers of elderly, p 402. In 1882, "it is estimated by many medical men that the victims of this weed, on an average, cut short their life about one quarter. Thus, from an average life of forty-five to fifty, about ten or twelve are sacrificed to this evil-doer." --Meta Lander (1813-1901), The Tobacco Problem (Boston: Lee and Shepard, 1882), p 55. 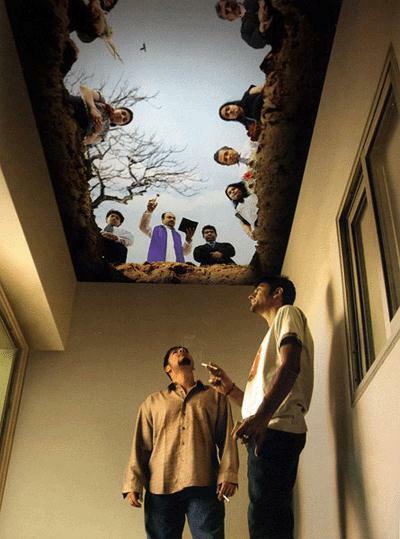 And, "multitudes are carried to the grave every year by tobacco alone," p. 67. This enormous death-rate constitutes "one of the greatest offenses against humanity," says Prof. Bruce Fink (1861-1927), in Tobacco (Cincinnati: The Abingdon Press, 1915), p 30. In 1922, there was reference to "the decreasing number of persons who attain great age. Centenarians are becoming extinct. The proportion of centenarians to the general population differs greatly in various countries and agrees very well with the amount of tobacco consumed, but in inverse ratio." --John H. Kellogg, M.D., LL.D., F.A.C.S. (1852-1943), Tobaccoism, or, How Tobacco Kills (Battle Creek, Michigan: The Modern Medicine Publishing Co, 1922), p 118. Dr. Pearl (1879-1940) was also an educator of laymen. Note his "The Search for Longevity," 46 The Scientific Monthly 462-483 (May 1938), "[p]resented as one of the Third Series of 'Lectures to the Laity' of the New York Academy of Medicine on February 24, 1939." That much longer paper has a number of references tracking concern on the subject and data back some decades, noting that length of life compared to about fifty years earlier, had actually deteriorated, was "not quite as good" (p 466). In that February 1938 lecture, he offered a comparison to 1890 with an example: "At that time six hundred out of every 10,000 white males alive at age 70 lived on to 90 or more. Now . . . only 563 manage this feat." "The span of human life has not been lengthened, and there is no present prospect that it soon will be. The average duration of life is all that has been altered." "In 1890 only 72 per cent. of the boy babies starting got a foothold on . . . 10-year [age]; now 91 per cent. do." He thus refuted the mythology too often fed to laymen. He correctly identified that in truth, the fact was really that merely "more babies" were being enabled to survive, but actual length of average lifespan had not only not increased, but was actually "not quite as good." Of course, due to the unlawfully-caused tobacco-induced deaths constituting the tobacco holocaust. Pearl knew the averaging data, e.g., that "Death rates began their sustained declines by the 1870's" (see "Population of the United States, 1790-1920," by Michael R. Haines, The Cambridge Economic History of the United States, Vol 2, Stanley Engerman & Robert Geallmon, eds). The real issue is of course, not "average," but "span." 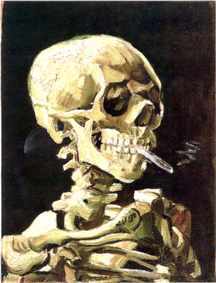 And, it had long been reported "that one half the deaths of men in that country [Germany] between eighteen and thirty-five years of age, are attributed, by their physicians, to smoking."—Wm. A. Alcott, M.D., The Use of Tobacco: Its Physical, Intellectual, and Moral Effects on The Human System (New York: Fowler and Wells, 1836), p 76. "The sedative effect of tobacco upon the brain is so great that it often requires an act of the will to stimulate the involuntary muscles to action, so that when sleep arrests this will-power these muscles cease to act, the breathing stops, and the person is found dead in his bed—'from heart-disease' say his friends, but in reality from tobacco-paralysis of the heart and muscles of inspiration. "—John B. Wight, Tobacco: Its Use and Abuse (Columbia: L. L. Pickett Pub Co, 1889), p 56. "Quotations: Tobias Venner and His Via Recta," 4 Human Biology (#4) 558-583 (Baltimore: J. Hopkins Press, Dec 1932) (Dr. Venner was a pioneer researcher, cited for example with respect to tobacco amblyopia and other tobacco effects). Tobacco Smoking Upon the Health"
Insurance companies of the era also reported the tobacco-premature death connection. Example: Anonymous. Postal Life Insurance Company, New York. Bulletin (20 Nov 1913). Has data on the relation of the smoking to foreseeable mortality. Of course, doctors continue to study death rates. See for example, Morabia A, and Khatchatrian N, "Major Causes of Deaths Between 1901 and 1990 in Geneva, Switzerland," 41 Soz Praventivmed (#5) 315-321 (1996). Death rate data shows that about 400,000 smokers in America, out of about 59,000,000, are annually killed by smoking. The pushers rant, that's too low a ratio (4/590, i.e., a .0067796 rate) , so therefore, cigarettes are NOT killing! World War II military statistical analysis found that "300,000 bullets were fired for each man killed," says Prof. Michael P. Ghiglieri, Ph.D., The Dark Side of Man (Reading, MA. : Perseus Books, 1999), p 185. 299,000 misses, 1 hit = only a 1/300,000 correlation! Of course, the underlying fact is, that the individual one hit was THE, repeat, THE, "causation" of the death. At individual level, it's causation. On the gross statistical level, it's supposedly only "correlation": 1/40,000 (.000025). If you were the Military Supply Officer, would you stop issuing bullets? -- would you deny they kill? -- because the correlation (1/40,000; .000025) was too low?! You think about it: cigarettes kill at a 4/590 (.0067796) rate. Intentionally fired war bullets killed at only a 1/40,000 (.000025) hits rate. What do YOU say; are the pushers right in denying their killing? Or do you agree that the pushers are committing mass premeditated murder at the holocaust level? and should be prosecuted, convicted, and executed as per pertinent precedents? Note censorship of tobacco news. And see also data on deaths among the unborn (abortion/miscarriage) and youth (SIDS); and the right to pure air, needed to prevent such deaths, caused by the poisonous nature of Toxic Tobacco Smoke. This data also refutes the notion that women inherently live longer than men. Studies cited by Dr. Daniel H. Kress, Modern Use of Tobacco, cited this issue! Conclusion: "Men drink and smoke too much." By 1910, this tobacco-caused longevity difference was becoming evident: Census data showed 1380 men over 100, vs 2175 women, says Pryns Hopkins, Ph.D. (1885 - 1970), Gone Up in Smoke: An Analysis of Tobaccoism (Culver City, CA: The Highland Press, 1948), p 90. Dr. Pearl's death rates' comparison study is repeatedly cited for its enormous value in showing tobacco dangers, in the public education book by Frank Leighton Wood, M.D. What You Should Know About Tobacco (Wichita, KS: The Wichita Publishing Co, 1944), pages 6, 7, 33-35, 46-47, 52, 86-92, 107, 123, 134-135, and 137. See also Prof. Arthur H. Steinhaus and Florence M. Grunderman, Tobacco and Health: Some Facts About Smoking (2d ed) (New York: Association Press, 1941), p 44-45. Educated people live longer. "People with 12 years of education or more have seen their life expectancy rise faster than among those with less education, and researchers say that differences in smoking rates are an important reason for the disparity," says "Smoking Blamed for Education-Related Mortality Gap" (12 March 2008). "Bottom line: as of 2000, better-educated 25-year-olds could expect to live to age 82, while less-educated adults of the same age could only expect to live to 75. Smoking-related illnesses accounted for much of the mortality gap, researchers found. Lung cancer and chronic obstructive pulmonary disorder alone accounted for 20 percent of the mortality differences between the two groups. Past studies have shown that less-educated people are also less likely to quit or abstain from smoking." See the article by David Cutler, et al, in the journal Health Affairs (March/April 2008). Herbert H. Tidswell, M.D., The Tobacco Habit: Its History and Pathology (London: J. & A. Churchill, 1912), p 238, showed that tobacco causes premature death among nonsmokers as well, e.g., killing the unborn, "fifty-three per cent. of . . . abortions . . . are due to tobacco." Additionally, also at p 238, ". . . inhalation of tobacco smoke by pregnant mothers when sitting among smokers is sufficient to cause fatal poisoning of the fœtus." "The two co-founders of Alcoholics Anonymous (Bill Wilson and Bob Smith) both died of lung cancer at ages 75 and 71 respectively," says www.cardiovision2020.org/KickTobacco.htm. Smokers, they had focused on a tobacco effect, alcoholism, not on its typical tobacco causation process, nor even noted the long known tobacco-lung cancer connection. For more examples, see www.smokefreeair.org/fds.pdf. Click here for a list of current and past smokers. "41 nations top U.S. life expectancy" says Stephen Ohelemacher (The Associated Press, Seattle Times) (12 August 2007). "A baby born in the United States in 2004 will live an average of 77.9 years. That life expectancy ranks 42nd, down from 11th two decades earlier, according to international numbers provided by the Census Bureau and domestic numbers from the National Center for Health Statistics." "'Something's wrong here when one of the richest countries in the world, the one that spends the most on health care, is not able to keep up with other countries,' said Dr. Christopher Murray, head of the Institute for Health Metrics and Evaluation at the University of Washington." "Four common bad habits combined — smoking, drinking too much, inactivity and poor diet — can age you by 12 years," says Lindsey Tanner, "Bad habits can age you by 12 years, study suggests" (AP, 26 April 2010). "The study appears in Monday's Archives of Internal Medicine." For details, see Elisabeth Kvaavik, PhD; G. David Batty, PhD; Giske Ursin, MD, PhD; Rachel Huxley, DPhil; Catharine R. Gale, PhD, "Influence of Individual and Combined Health Behaviors on Total and Cause-Specific Mortality in Men and Women: The United Kingdom Health and Lifestyle Survey," Arch Intern Med. 2010;170(8):711-718. See also Mo Costandi, "Your Nose Knows Death is Imminent" (The Guardian, 20 October 2014) citing J. M. Pinto, et al. (2014). Olfactory Dysfunction Predicts 5-Year Mortality in Older Adults. PLOS ONE, 9(9): e107541. doi: 10.1371/journal.pone.0107541: "Losing the sense of smell predicts likelihood of death within five years." Of course, as tobacco's toxic ingredients damage both the brain and the nose thus damage the sense of smell. The Crime Prevention Group. Please visit our tobacco effects list.